He seems to have had some problem programming the POF file from Quartus 15, and had to rebuild the whole project. If anybody else runs into similar issues, could they let me know, so I can figure out what might be wrong? I ran into the same issue back then when I did my testing, but didn't pay much attention to it - I had all sorts of issues with the Quartus 15 programmer under Linux so I mostly used Quartus 14. When I tried to open the .pof file with GUI Quartus Programmer 15 under Linux I got a crash notification. IIRC the command line quartus_pgm from Quartus 15 gave an error about an unsupported format or chip (sorry, can't remember exactly). Opening the POF with Quartus 14 worked fine, and IIRC the SOF worked both with Quartus 14 and 15. I guess it's best if you do a quick test with Quartus 15 yourself, it could well be that my issues were Linux specific. I have the same exact issue when I try to run it from Win 7 @ 64 bit, using the standalone "Quartus Prime Programmer and Tools" rev. 15.1. When after I try the full Suite "Quartus II Web Edition" rev. 15, all work perfect. Edited by santosp, Sat Jan 23, 2016 4:45 PM. Some photos above who prove cause I make it! 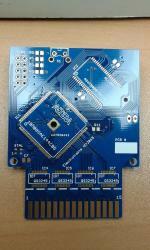 The PCB is according to redesign schematics by me, based on original of Robin -the inventor- here. All the solder work made by hands, except the oscillator who I use simple solder plus hot air. Thanks the rdea6 member for all his help on parts etc. Roy the Number One PCB is yours! Edited by santosp, Sun Apr 3, 2016 10:50 AM. It was me Just simple source rebuild helped and everything works well. I really like the cart, thanks for your good work! 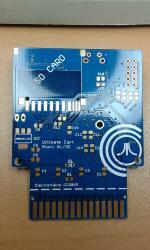 Thanks for posting, and it was really great to see the pictures of your finished cart. Its good to now have so many people independently building this project - hopefully they'll also be some interest in working on the firmware to add features in the future. I installed Quartus 15.1 on friday and had a quick play - I immediately noticed they've now got project settings for both the 10m08sae144c8g and the ES version, whereas all previous versions only listed the ES. So maybe they've updated the programmer to recognize both chips too. For others reading, there is no problem using the current github programming files with Quartus 14.1 with either version of the chip. However, when I get some free time I'll post updated versions for use with Quartus 15.1 too (to avoid the need for a compile and therefore the full software download). 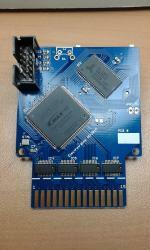 There is now a new firmware with XEX loading available, thanks largely to the efforts of flashjazzcat. 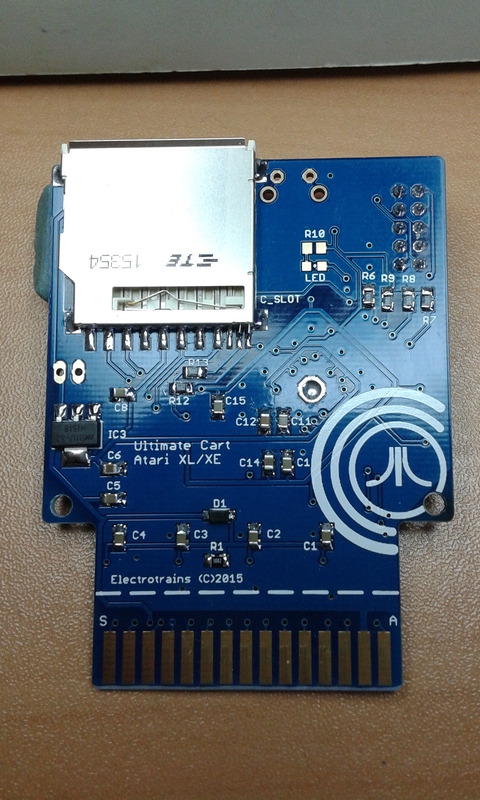 The SD card is configured to run a WIFI hotspot and you can upload the files (ATARI games) via Web Browser (from a smartphone or from a PC) to the file system (FAT32) on the SD card. Ultimate Cart does not cache directory structure, so it is enough to leave the current directory and enter it again to see the new files. 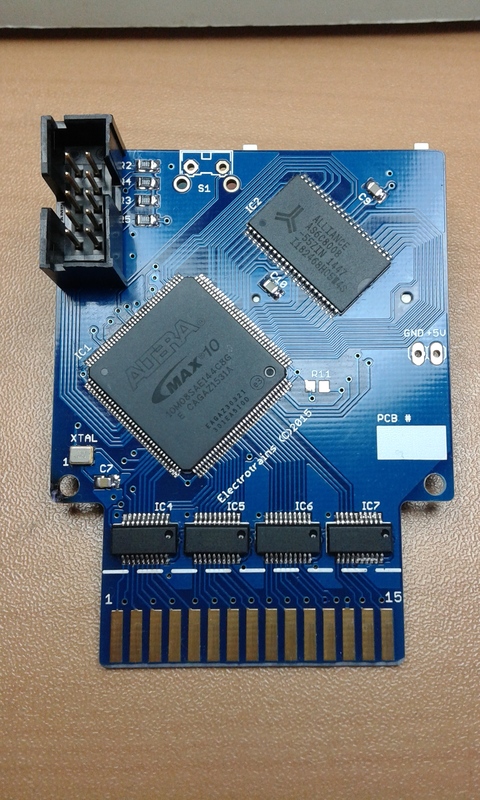 The SD card itself supports different working modes and with a special support from the FPGA, it could also act as a WIFI network card. I had no idea such things existed - what a wonderful idea! Going to order one now from amazon! I sure hope I have some extra money when the next batch is produced. Hopefully, after winter is over. I've uploaded the final programming files for XEX loading to github, and updated the documentation a little bit. No more bugs reported, so the files are unchanged from the second beta (except to remove the green colouring at the bottom of the menu), so don't feel obliged to do a firmware update unless you don't like green! The updated source code will follow shortly. The SHIFT+CONTROL+ARROW key combinations to jump to the end/beginning of the list do not work with my Ultimate Cart (the ATARI hangs). Control+ARROW keys (for Page Up/Down) work fine. Thanks for the report - I see the same thing (don't think I'd ever tried this feature before). Anyway I'll pass it on to flashjazzcat. 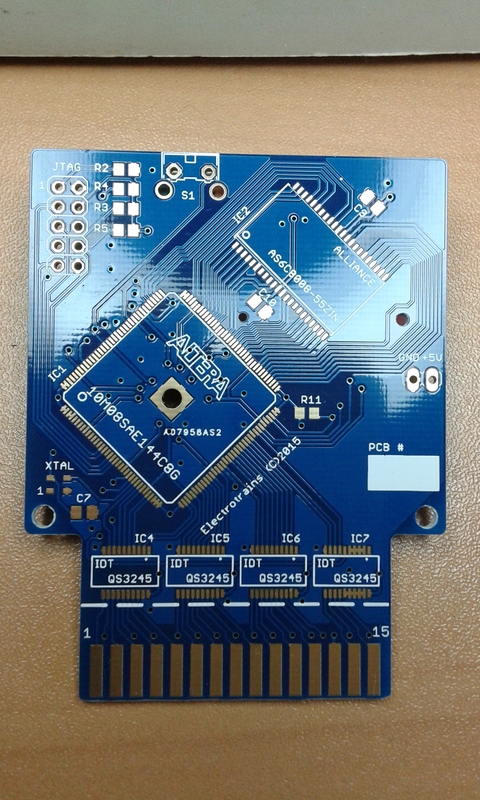 New firmware attached - with versions for both types of chip inside the zip file (use the one for the model on your board). This fixes the start/end of list bug reported above. Edited by electrotrains, Tue Feb 16, 2016 9:43 AM. 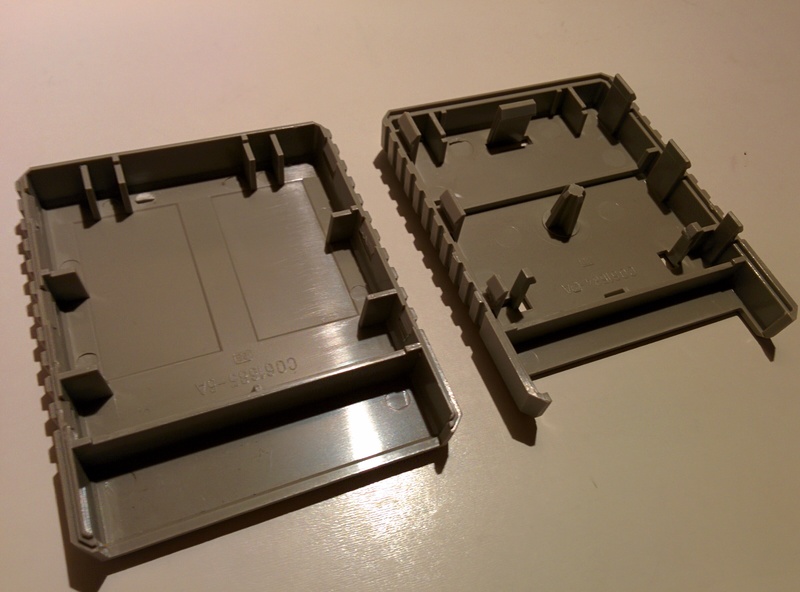 Can someone post pictures and info's, how the grey striped shell of Atari cartridge can open? From one side seam pull the bottom out enough to get a thin shim into the opening seam and keep spreading seam until it pops open. I broke the two plastic catches on one side but not the opposite side. Edited by santosp, Tue Feb 16, 2016 3:48 PM. 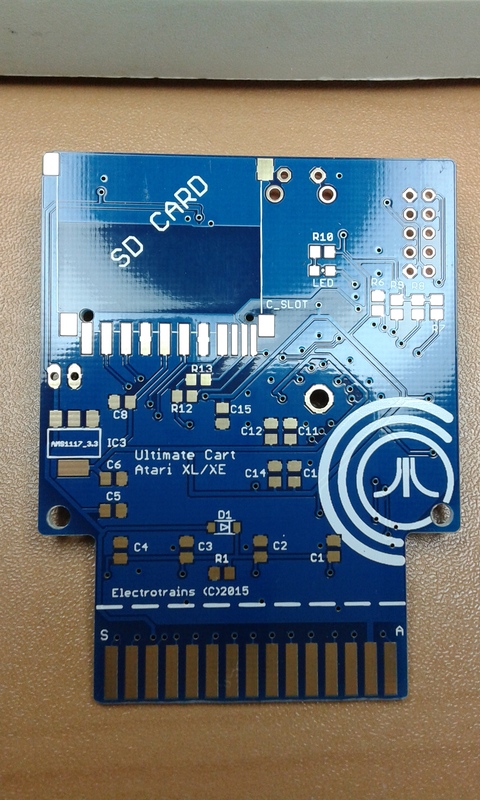 I open it to see for my great disappointment, cause this cartridge is totally incompatible for the Ultimate pcb! First a General WARNING. Do not open -break- this type cartridge for using with Ultimate. Is totally incompatible!!!!!!! As for me, I repair the plastic hinges with Loctite strong epoxy, and I will close it again. Fortunately only two hinges broke at the upper end of their body only. The only reason who worth to do all this, is to replace this loose Bug Hunt game with another! I opened mine and it fit fairly well with just a bit of Dremel work for the reset switch and SD card opening middle post reduced for lack of hole in PCB and space for the programing pins.